Greetings, weasels. 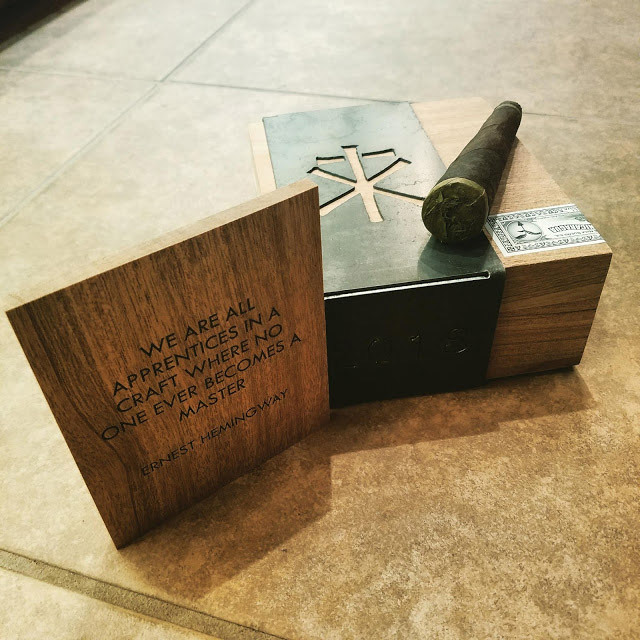 The CRAFT 2018 is limited to 2,000 boxes of 10 and incorporates a Pennsylvania Broadleaf Maduro and Ecuadorian Connecticut dark candela. This 5×60 true pyramid (cone/trumpet shape) from RoMa Craft Tobac originates from Nicaragua. Previous post: Et tu, Brute?